The original Pittock estate was comprised of 46 acres of land nestled high in Portland’s West Hills and included the Mansion, the Gate Lodge, and a three-car garage, as well as greenhouses and a tennis court that no longer stand. 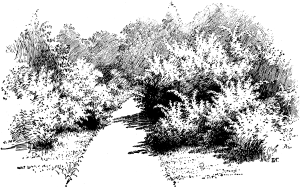 The original landscape design created by C.C. Colburn featured plantings of dogwoods, hydrangeas, rhododendrons, lilacs, magnolias, and—of course—roses. While the Pittocks planted beds of shrubs and flowers around the Mansion, Henry kept the back half of the property wild, clearing trails through the woods. 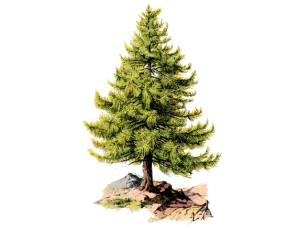 Henry and his daughters, Lucy and Kate, were avid hikers and climbers. Today, the woods behind Pittock Mansion are a part of Forest Park and the Mansion is a popular stop on the famous Wildwood Trail. Pittock Mansion has one of the best views in town. 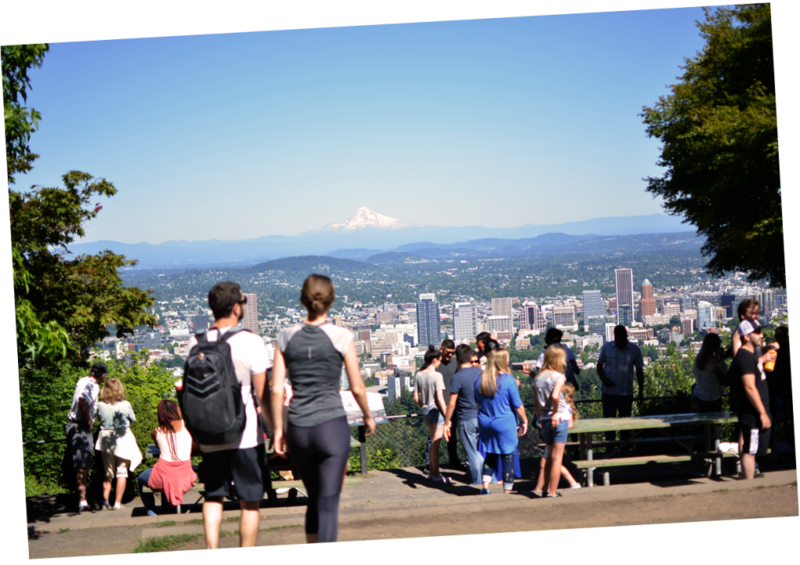 Nestled high in the West Hills, Pittock Mansion’s viewpoint overlooks Portland’s skyline from 1,000 feet up. On a clear day, enjoy vistas of five Cascade Mountains: Mount Hood, Mount St. Helens, Mount Adams, Mount Rainer, and Mount Jefferson. 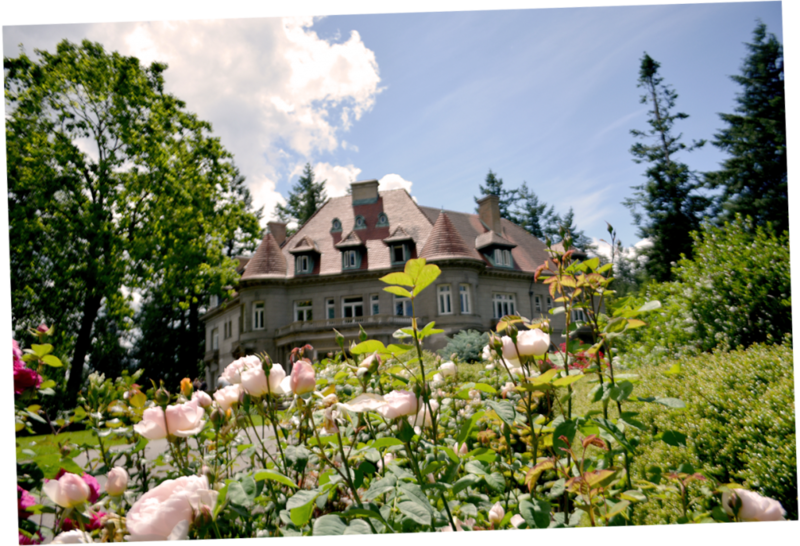 Today, the grounds around Pittock Mansion are a public park open daily through 9:00pm. The gardens are maintained by Portland Parks & Recreation and volunteer members of the Oregon State University Master Gardener program.